Wine country is in full harvest mode. 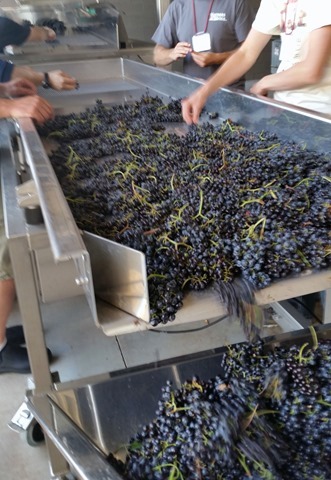 Grapes are arriving by the truckloads, crush, press and punch downs have begun. All should find comfort knowing that vintage 2015 is into full primary and may be even secondary fermentation right now. If you’ve been dreaming of living in wine country now is a great time to visit, experience harvest, get your hands purple, taste some wine and find that home! 8 homes are pending priced from $369,950 and $1,150,000. 54 homes have sold since the first of the year that closed between $383,000 and $1,365,000. The average market time for a home to sell on the Hill is around 48 days and sellers are getting on average 99.86 % of their asking price.